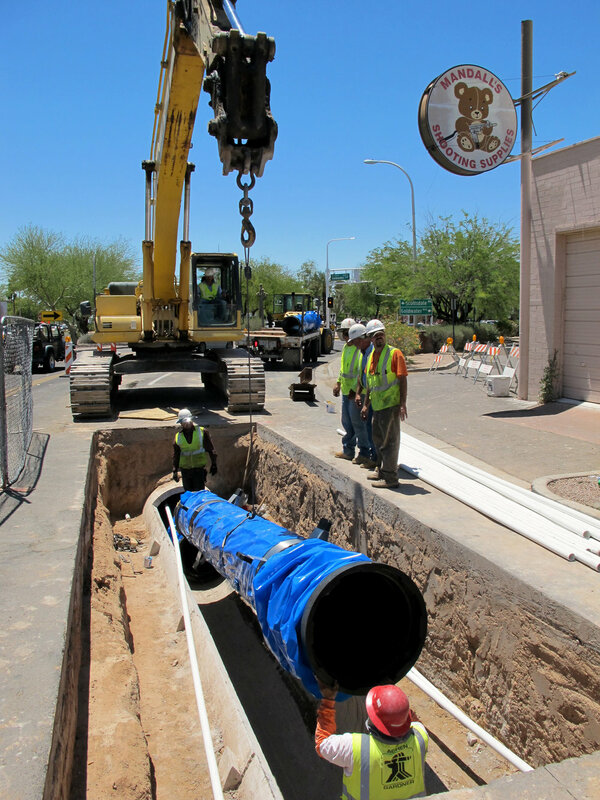 • 2,820 LF of 24” DIP waterline along Scottsdale Road. This pipe was “pushed” in an existing, abandoned 45” concrete pipeline, between Indian School Road and Osborn Road. • 2,650 LF of 16” DIP, 12,050 LF of 12” DIP waterline and appurtenances. Locations were 69th Street between Indian School Road and 4th Street, 4th Street between 69th Street and 70th Street, Goldwater Boulevard between Indian School Road and 6th Street, 6th Street between 70th Street and Scottsdale Road, Marshall Way between 1st Avenue and 6th Street. 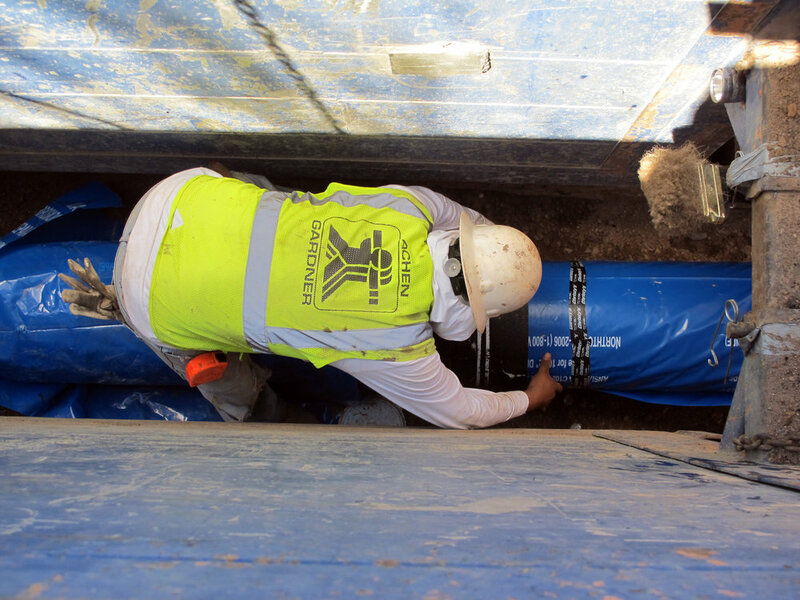 • 1,726 LF 12” PVC Sewer with 8 Each 4’ sanitary sewer manholes on Marshall Way from 2nd Street to 6th Street, then east along 6th Street and Bishop Lane, ending on Osborn Road. The project also included testing pipelines, changing existing ACP pipelines to DIP pipelines when crossed by the new mainlines, changing existing PVC water services to copper water services when crossing new mainlines, and completing all surface restorations: trench-line pavement replacements, curb & gutter, sidewalks, valley gutters, brick pavers, bomanite crosswalks and stamped asphalt concrete pavement. We also completed slurry seal, pavement marking restorations and replaced traffic signal loops.